Jam packed with tools and studies to help you confirm historic seasonal price patterns and cycles, the Advanced Seasonal Cycles library comes with 7 functions, 2 studies, 4 templates and 1 custom chart page. Analysis of seasonal price patterns and tendencies helps you to confirm where buying and selling opportunities are likely to occur. Review past cycle trends or identify a current market cycle with easy to use tools. 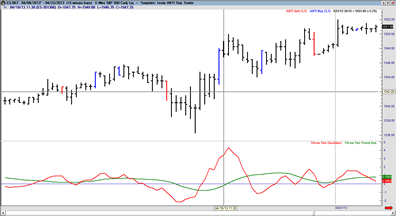 Display past cycles as a chart overlay while reviewing a current cycle trend or review past cycles in terms of percent change, ratio, bar number, composite and more. 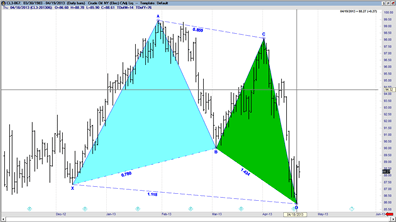 Filter trades, search for leverage, and find single or complex pattern cycles for any market you desire. Put probabilities in your favor with over 40 years of historical data charted with multiple seasonal methods. Be on the correct side of the trend. Know in advance exactly when a market trends higher, lower or sideways. Take control of your trading plan now, and get more consistent winning results. Verify the effect of seasonal trends on any market. Use the seasonal library as a filter and then apply your favorite technical indicators and trading methods. Before committing precious capital, know the bias of the market. Increase your trading efficiency and accuracy. 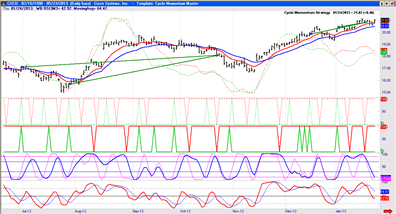 Discover market cycles and analyze the results your way with custom inputs in the Advanced Cycle Finder. Determine how certain periods of time fit into the cycle trend under review.In this example, a specific year has been selected to highlight how it fit into the overall cycle trend. Easily identify where the market is following (or breaking) the trend for possible entry and exit opportunities with built in templates. Bullish and bearish trends and average price change are visually confirmed with the indicators, templates and pages included in the Advanced Seasonal Cycles Library. Explore the correlation between moon phases and market prices. The Moon Cycle Trend Template displays market price in conjunction with moon phases, allowing you to determine whether the next lunar cycle will affect your buying and selling decisions. With the at-a-glance template display, just select your cycle template of choice and begin analyzing right away. Compare and contrast cycle movement to determine if one trend or cycle is a standout among the group with the overlay feature. View the current active trend in comparison to the overall trends, giving you the information you need to make decisions that count.